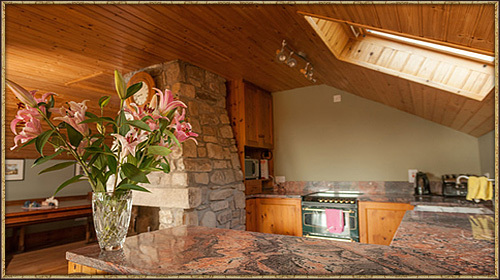 Kilranelagh Lodge is a purpose built fishing and hunting lodge set amidst the magnificent scenery of West Wicklow. 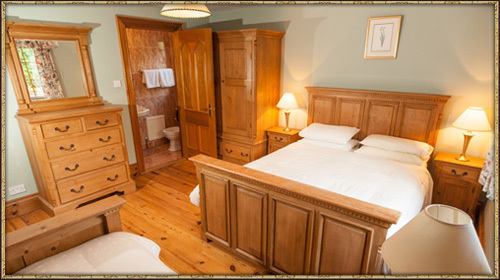 Accommodation consists of six large double bedrooms, five of which are en-suite and a sixth bathroom on the ground floor. A fully equipped kitchen and open plan dining is set off by a balcony providing fabulous views of the countryside. 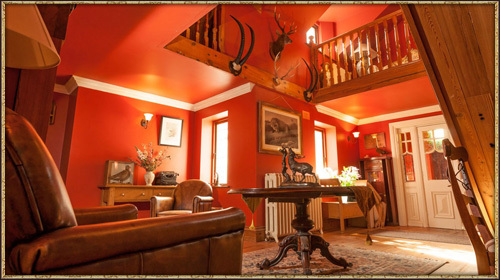 Easily accommodating up to 13 guests and beautifully decorated with fine paintings, antique furniture and open fireplaces, The Lodge is the place for complete relaxation whatever the weather. Guests also have exclusive use of four acres of landscaped gardens, two lakes, a tennis court and fifty acres of recreational grounds. Mixing the old with the new, the Lodge is fitted with an up to date Scandinavian sauna and entirely furnished with antique furniture. A private tennis court is located beside the Lodge is freely available to our guests. 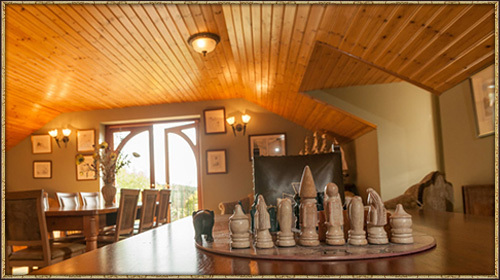 Activities such as fishing, archery and clay pigeon shooting can be booked in advance of your arrival. Hill walking is very popular with our guests. From Kilranelagh Lodge you can avail of multiple walking routes. Guests can walk directly from the Lodge to various historic sites, while the more adventurous guests can test their ability to conquer some of Ireland’s highest mountains. Lugnaquilla (3,035ft) is the highest peak of the Wicklow mountains and is accessible from the rear of Fenton’s pub, a ten minute drive from the lodge. Guests can also walk directly to the summit of Keadeen mountain (2,146ft) from The Lodge. Kilranelagh Lodge is sited in the centre of Irelands largest early Bronze age clusters. The largest early Bronze Age Ring Fort in Ireland, Brusselstown Ring, comprising an area of 132 Hectares, is situated 2 km from the Lodge. Also on this site is the grave of the 1798 rebel, Sam McAllister. Mcallister was killed saving the life of Michael Dwyer, the most famous 1798 rebel, in an ambush by crown forces at Derrynamuck near The Glen of Imaal. Glendalough, Ireland’s most renowned Early Medieval monastic settlement founded in the 6th century by St Kevin, is a scenic 45 minute drive from the Lodge. Kilkenny City, Dublin City, Carlow town, Wexford Town, and Kildare Village Outlet Shopping are all within one hours drive of Kilranelagh Lodge. The Golf Clubs of Druids Glen, Mount Wolseley, Rathsallagh, and the famous K-Club are all within 40 minutes drive.